Today Jenna requested a trip to the mountains. It’s the first time since the concussion that she has really wanted to do anything so I was all over making that happen. We drove out the 1A which is longer but more scenic (and has the gas station that sells the fireworks we need for New Years) to Canmore and then carried on to Banff. Of course I forgot about the fire at the Mount Royal and the candy shoppe there was closed. 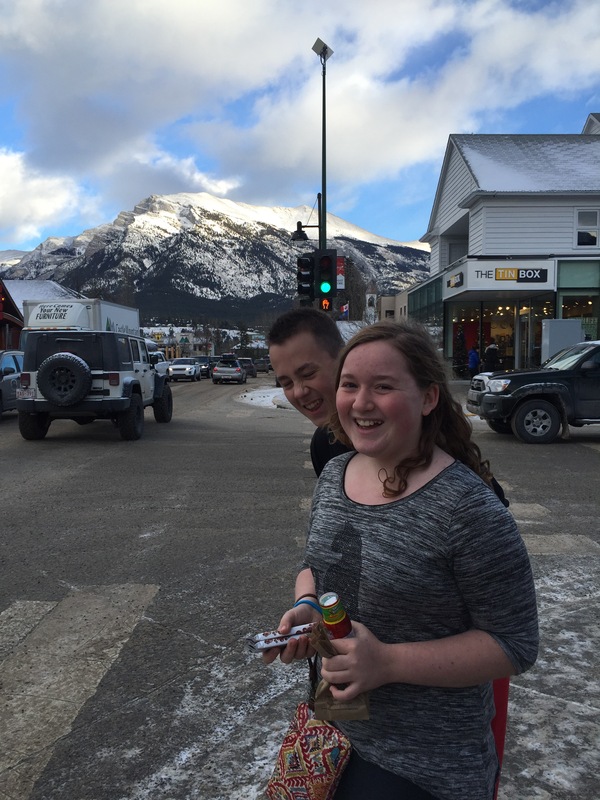 We drove around soaking up the atmosphere, but the town was packed so we headed to Canmore. Canmore also has a great candy shoppe and the town is less crowded. Jenna was happy and seemed more like her old self again – it’s been a long time waiting for that to happen. My happiness moment was seeing her be happy and joyful. I feel so blessed that I have this time to share with these two gifts from God.